Daniel Blau has, for many years, produced exhibitions and catalogues with historic photographs. We are excited to launch the first edition of Misled at Paris Photo’s 20th anniversary edition on November 10th. 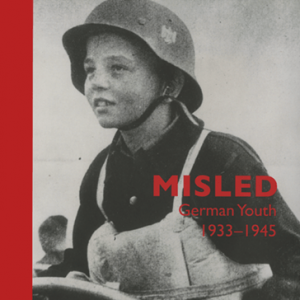 Misled examines and illustrates the role of the youth during the Nazi regime 1933-45. The photographs shown in the publication are mainly German propaganda images found in American press archives (all dating 1933-1945), as well as collected over the course of many years at auction as well as through English and French photography dealers. The Nazis created both the technical and administrative conditions for the widespread dissemination and political use of photographs. This powerful image-distribution is clearly themetised in the book through its illustrating the accompanying slugs which were originally pasted onto the actual photographic print by the American news agencies. Some of the prints have their slugs from German news or photo services. The slugs’ function is not simply to describe the image but to provide the journalist with as much precise factual information as possible in order to elucidate his angle on a story. In this case, it’s a fascinating insight into a foreign interpretation of German war propaganda. 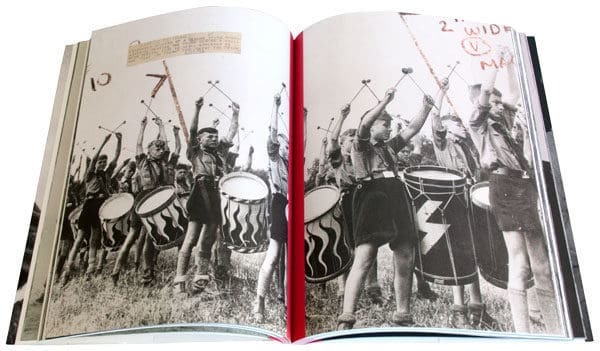 Similar to the disturbing images we see today of IS-fighters and jihadists who exploit children for warfare, Nazis introduced children at the earliest possible age to their ideological and political systems in order to make them an essential part of their political apparatus and warfare. What does it mean to witness such atrocities? Misled discusses the relationship between image and text. Included are transcriptions of conversations Daniel Blau had with eye-witnesses. 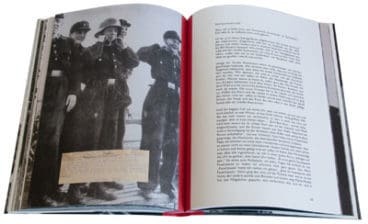 In order to show the complex relationships between photojournalism, propaganda, and the function of text, Daniel Blau’s interviews have been left unedited, which not only amplifies their youthful tone but also helps further reflect the function of (photo-)journalism. The images cover a range of themes from daily life, to military exercise and training. 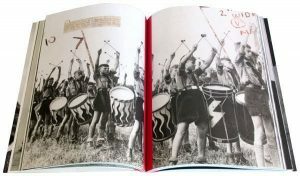 Included are a range of photographs showing young boys and girls playfully training with gas masks, sporting rallies as well as music events as well as young teens in uniforms or even as prisoners of war. The book is compiled in chronological order. These pictures clearly show the consequences of political and ideological exploitation faced by the Hitler Youth. Misled clearly offers its audience a distinct and unparalleled insight into the subject matter. It attempts to uncover how these photographs targeted society then and what effects these images produce today. Much of the literature surrounding National Socialism use photographs for illustrative purposes rather than as documents in their own right. Misled offers a unique perspective through these powerful images and personal accounts. Misled explores how history is based on many layers of subjective chronicles, how memory is simply an interpretation of occurrences. History doesn’t merely recount events, rather it is a subjective experience which is continuously constructed.